There's a lot of pressure to get Valentine's Day right. From selecting the best flowers to serving the perfect meal, the process can be nerve-wracking. 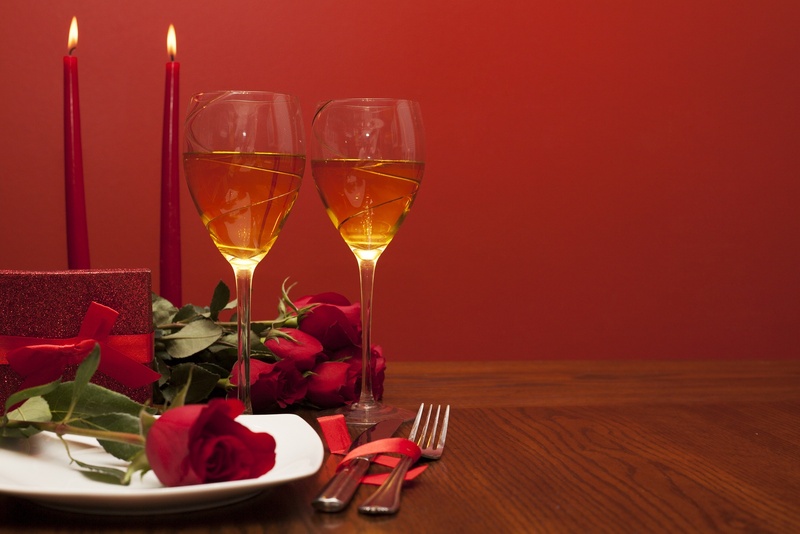 If you're worried about setting the mood for your Valentine's Day date at home, let these tips take the pressure off so you can focus on your Valentine instead. The decorations do not have to be expensive and elaborate, only well-chosen. Stick to a red palette and you cannot go wrong. Set the table with red candles; choose a couple tall, sleek candlesticks or try several votives of varying height. Roses are the perfect centerpiece and a bowl of red strawberries will be a romantic appetizer. The rest of your home can be decorated as simple or as intricate as you like. Consider suggestive rose petals for the bathroom or bedroom or a luxurious red blanket for the sofa. A dessert tray with red candies and red velvet cupcakes will be the perfect ending to your meal while also doubling as a decoration. Don't interrupt your evening with frequent adjustments to the music. Instead, plan a playlist in advance and have it ready to go before the night starts. You know your date the best so be sure to choose music you know they like, but be sure to stick to the emotional side of their range rather than the more energetic. Slower music invites a leisurely meal to be filled with conversation. Early in the evening, you may want to have more natural light to get the date off to a good start. When you sit down to dinner, dimming the lights and closing the shades a bit will provide a more intimate setting to your meal. Afterward, when you're ready to enjoy a lingering evening, you want to have plenty of privacy. The last thing you want to do is interrupt your dinner by rushing over to close the shades because the sun is shining in your eyes. Instead, choose motorized shades that provide instant privacy at the push of a button. Of course, setting the right mood in your home is something you want to be easy all year long. From a bright and happy birthday party to a quiet evening spent curled up with your favorite book, the right window shades will help you get it right every time. To learn more about our products or to schedule your free in-home consultation, contact Polar Shades at 702-260-6110 today!